One Saturday in June I rolled up to where my husband was working to tell him that I had just spent the day moving. To another house. Without him. In the matter of a few days, including this one, I managed to put the finishing touches on the failing of our marriage. It was a really good relationship, the whole thing. But one day it just didn’t seem that way anymore. I am quite happy, almost seven years later. I’m learning to find joy in the silence in my life. The silence that used to scream things at me before is now a source of calm, trust, honesty and faith. I’m convinced that this is the spot God planned for me when I started this firestorm in my life by walking out on my husband. I’ve blamed being postpartum and receiving horrible advice from someone I thought was my friend, but the fact is that I am the one who made the ultimate choice to leave. I deeply regret it. Every.Single.Day. 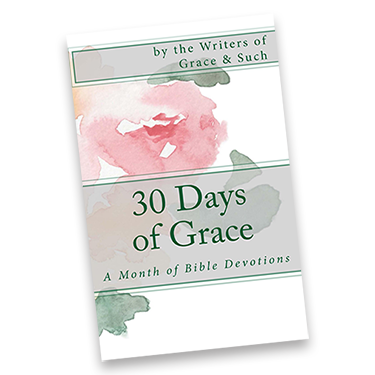 [pullquote width=”300″ float=”right”]Now that I’ve accepted this truth – that I am immensely loved while embracing the woman God created me to be – I am finding it easier and easier to find joy in the mundane of life. [/pullquote]Recently, as I was cleaning some papers out, I came across something I had written on a couple sheets of paper and stuffed away. It was from two years ago and as I was reading it, I realized how many of those things that were hurting me then, have since been healed. Not by me. I’ve spent my life trying to fix myself, with a very low rate of success. In those papers I wrote a plea to God. He has since answered. Not in the exact way that I thought he would. Actually, better than I could have ever dreamed. I’ve prayed for healing in the relationship between myself and my now ex-husband. Without a doubt, he is now one of my favorite people. He is the one I call first for everything. His opinion is very important to me. He has helped me in so many ways and is always honest with me. He probably knows me better than anyone I’ve ever known. He has been in my life for 16 years. And I’m thankful for that. God is Good. Celebration. There are many other things that God has “fixed” in my life. Too many to count at this point. Sometimes, when I think about how painful that all was, it doesn’t seem so important. The things I’ve learned about people. The things I’ve learned about myself. The things I’ve learned about God. It was worth it. I’m softer now. I’m in love with the idea that someone in this universe thinks I’m pretty amazing. So amazing that he drug a tree up a hill to be embarrassed, mocked and brutally killed so that I could act a fool for a lot of my life. Yet there He was this whole time. Waiting for me to get a clue. Waiting for me to see that what I looked for in people my whole life, was in this amazing God who wanted to know me and give me a really good life (Jeremiah 29:11). Now that I’ve accepted this truth – that I am immensely loved while embracing the woman God created me to be – I am finding it easier and easier to find joy in the mundane of life. You’re never too old and it’s never too late to be who’ve you’ve always been. Don’t believe otherwise. Even if people who knew your past tell you that you can’t change. God will change you from the inside out so that you don’t want to go back to being the same person. My heart was filled with judgments of other people and God has changed that. He has taught me that everyone is worthy of love. Every single person. Including me. And once I realized that I started to see others the same way. Loved unconditionally. It’s a beautiful thing. So much has been lost in seven years. But what I’ve gained has been abundantly more valuable. If you’re going through a storm of your own right now, I would encourage you to continue to pray. Time moves at its own pace but trust God in His word. It may not be happening as quickly as you’d like (it didn’t for me, EVER), but He is working things for your good. It will probably look different than you expect. Can I pray for you? Thanks for sharing your truths Tina. When I was hiking in AZ last week, I saw the most beautiful cactus flower growing out of a rock. It reminded me that beauty can grow in the hardest spaces. God’s at work under the surface, covering us with the warming love of his son, so we can bloom again. I have loved watching how God is working. Your life is such testimony.